Andy Dee vs Sam B – The Last Kind | 18.05.11. Fangbanger – Bad Things | 25.04.11. 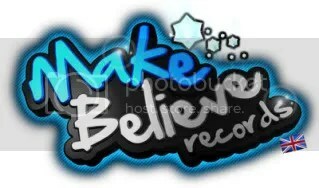 Make Believe Records Podcast – Episode One | 23.04.11. RedMoon Deejay – Make The Crowd Go – 16.03.11. This entry was posted in Free Tracks, Track Releases, YouTube Videos and tagged Andy Dee, Make Believe Records, Noc.V, Noc.V - 18th Angel. Bookmark the permalink.